It was a GREAT time to read comics, and the Kamandi series, written, drawn, and edited by Jack Kirby stood alone! Kamandi imagined a great catastrophe (unspecified, but something involving radiation) that destroyed the world as we knew it and gave rise to something incredible in its place. It's a world ruled by intelligent talking animals (the product of human research gone amok when civilization fell). 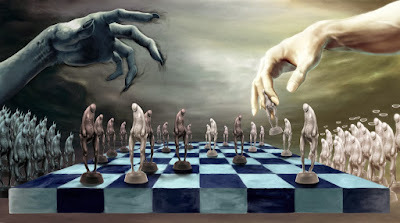 Humans, on the other hand, are primitive creatures largely confined to so-called human preserves. 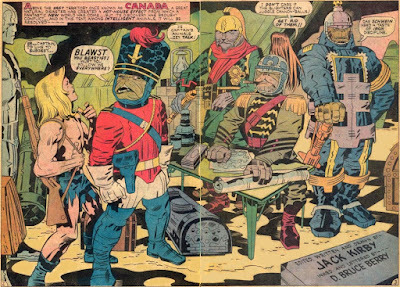 If you sense a parallel to Planet of the Apes, also popular at the time, you'd be correct. But this is really a world of bulldogs, gorillas, lions, and even rats! And unlike Apes, these animals are more technologically advanced, complete with motorcycles and guns stripped from the rubble and pressed to the service of their growing empires. Political ambitions aren't just for humans! We highly recommend checking this series out if you like that sort of thing (I certainly do). 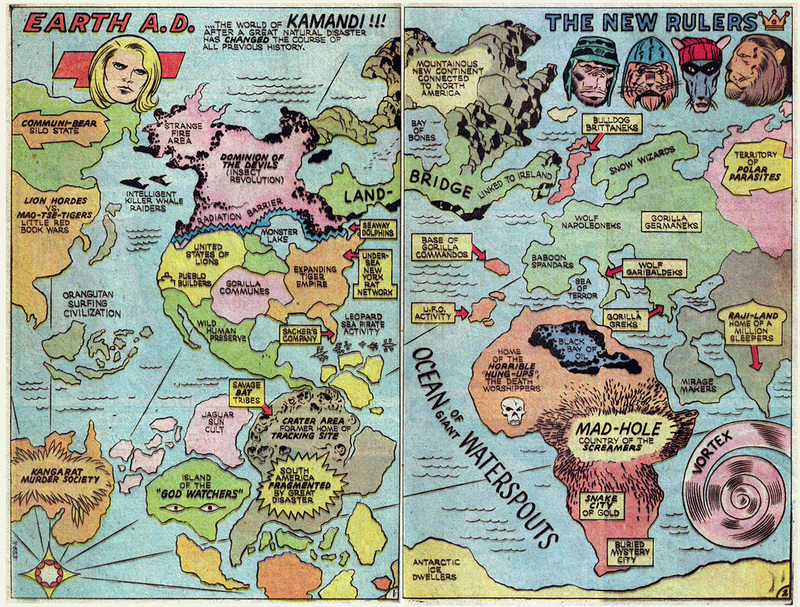 And it occurred to me that Kamandi suggests a compelling campaign setting. 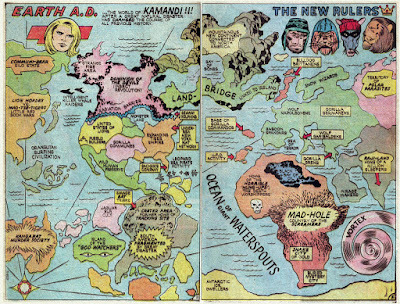 Luckily, Kirby mapped this incredible world in all its awesome potential. GORILLAS are ORDIANS. Big, strong, but not stupid! HUMAN characters must be intelligent and capable of speech, perhaps originating in some vault. These are TERRANS per the Retrospace rulebook, being clever and resourceful. KANGA RATS are MORI, one of the supplemental species. LIONS are KAZIN, although some adjustments for game balance might be necessary (no injury bonuses/damage points can be split). MUTANTS are treated as CYBORGS, resistant and capable of self-repair through genetic engineering rather than robotics. gorillas added some cultural flair! Of course, leopards and similar cats can be treated as lions and reptiles as Arturans or whatever. There's more work to do. 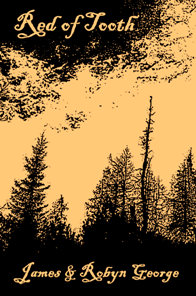 Giant insects and (intelligent) killer whales flesh out this strange world, but most of these can be added on an "as-needed" basis using Retrospace. This can be done using any system, limited only by the ambition of the GM, noting here that Retrospace is simple enough for a one-off adventure game. ALTERNATE GUN RULE: Archaic weapons deal standard damage, with firearms doing more (1d6, +1 for rifles). This results in a lethal gameplay experience more in line with old-school stuff. 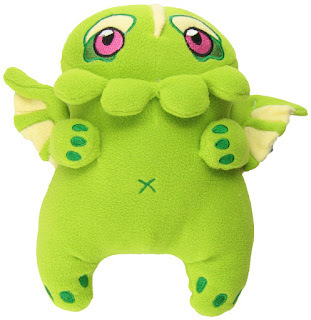 Did Geek Culture Kill Cthulhu? OK, I'll begin by acknowledging that in media, people can do whatever the hell they want, and I'm pretty much powerless against the creative freedom of others. Nor should I have the power to censor what others do in the name of creative expression, assuming no one gets hurt. But I think maybe someone has. Seriously, though, I'm about to launch into semi-rant territory here, but want to qualify things. The opinions I express are mine alone and shouldn't be taken as anything else. And to stave off those poison pens, let me clarify that I LOVE Call of Cthulhu as a game and will continue to play it often. Not literally, of course. Immortal beings are famously immune to death, or so I've been led to believe, and popular fictional characters are tougher still. But geek culture has altered this dynamic such that something vital, if not absolutely essential, about Lovecraft's creation has been lost amid the crush of games and products aimed at those who love this cosmic fellow. Cthulhu is dark, mysterious, and terrifying. A barely glimpsed monstrosity from some forgotten star possessing an alien psychology so beyond us as to render it an existential nightmare of cosmic proportions (literally). This inaccessible mystery is part of its enduring power because Cthulhu, and its kind, are forever beyond our understanding, and this counts for pretty much EVERYTHING. 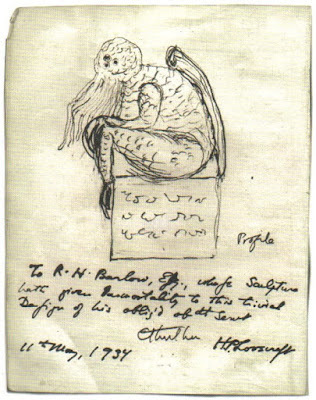 Cthulhu is never fully revealed. A forensic accounting of its appearance, powers, and abilities is beyond us. 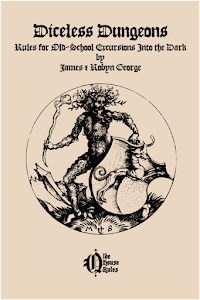 And its history and darkest motivations even more so, being only hinted at in ancient manuscripts known to turn their readers mad and reduce them to pale, quivering, and often suicidal, husks. Yes, we get a detailed description of a statue fashioned from feverish nightmares. But this is subjective and tinged with such conventional madness as to be suspect. 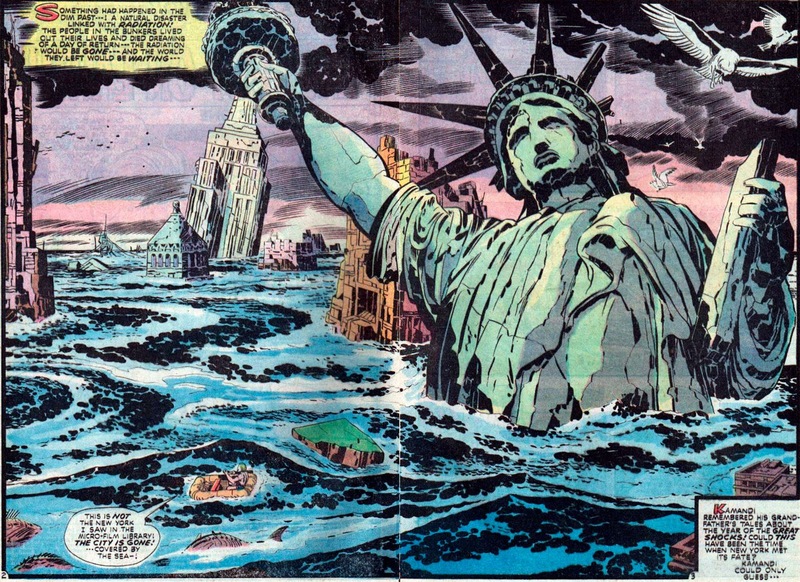 Of course, there's the amorphous thing Lovecraft describes rising out of the sunken city of R'yleh. Not coincidentally, this occurs on stormy seas as seen through the eyes of mortal panic, and the final glimpse is suitably formless as to simultaneously expose and conceal itself. Even Cthulhu's human cult is barely witnessed, being so utterly deranged as to be of little use. Mostly, Lovecraft's investigators chase after old manuscripts and half-remembered legends that are usually sufficient, in and of themselves, to destroy the sanity of mere mortals. And the dark and half-glimpsed horror waits until the very end to thrust our heroes into oblivion. But these days, Lovecraftian baddies are dragged kicking and screaming into broad daylight, where their power fades. When elder gods come fully statted as villains for your role-playing game, complete with implied instructions on how to defeat them, mystery flies out the window. The barely glimpsed horror comes out to shake hands and offer its calling card like a true salesman. The internet offers many fine illustrations of great Cthulhu, including art from certain role-playing games. 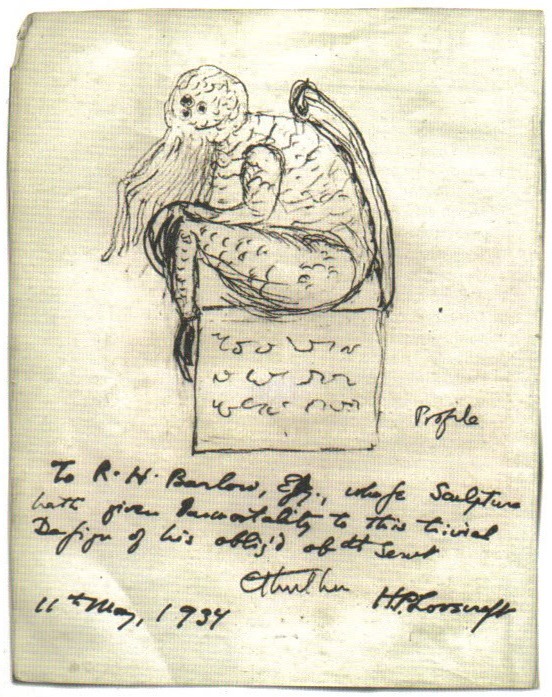 These are superior to Lovecraft's drawing, which I suspect shows the elder god on R'yleh's version of the Squatty Potty. Detailed forensic breakdowns of the Great Old One(s) are easy enough to find, and these leave little to the imagination; now just another bad guy, albeit a very ancient and powerful one to contend with. There's certainly nothing wrong with this. Like I said, geek culture can do what it wants. But I still remember Lovecraft as a literary genre in the 70s, years before Cthulhu became a geeky commodity. The essential thrill of these stories lies in what the reader DOESN'T know and can never fully grasp. And we, the reader, play along because it's FUN. But we also understand that stripped of its shadows, Cthulhu and company are really only scary in the way that nuclear war, with all its destructive potential, is scary. Minus the shadows and forgotten lore, Cthulhu is neither cosmic nor especially evil. So when it comes time to play Call of Cthulhu, don't forget what makes Lovecraft great. Build mystery and suggest something so antithetical to human understanding that you shudder, and remember what makes YOU scared and pass it along. The thing you fear is lurking in the darkest shadows, just barely seen. A terrible thing revealed only at the bitter ending. Resurrect Cthulhu now! But for every horrific event, there exist many others of sheer goodness. The bad guys are outnumbered, something apparent watching the lines of people, blocks deep, waiting to donate blood in the wake of this terrible tragedy. Thankfully, this human solidarity underpins our society, and we need to understand why it happens and how we can make MORE of a plainly GOOD thing. Gaming exposed us to other races and cultures, albeit clearly imaginary ones. 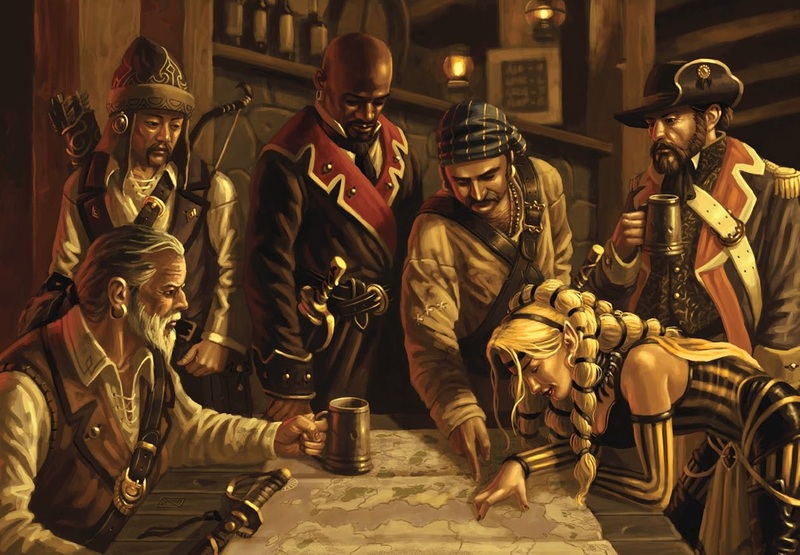 How many adventuring parties counted dwarves and/or elves among their numbers? And how many players recognized the idiocy of racism after negotiating with squishy and many-tentacled Rigelians at some neglected spaceport? My point here is that the hobby allowed us, sometimes at a very early age, to evaluate issues of culture and race while operating within the safety of a fantastic simulation. 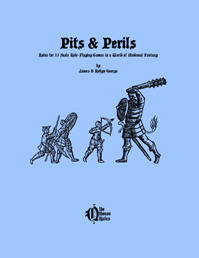 Now, your fighter might be at the top of their game, but a single critical hit could change everything, and your companions will doubtless remember how you treated them on and off the table before charging in to save your now-helpless character! This is because role-playing is an inherently HUMAN and SOCIAL endeavor. You have an imaginary world of varied cultures and races working together towards a common goal. And GOOD role-playing absolutely requires embracing cultural and/or racial differences and looking past them. Moreover, these are SUPERIMPOSED over the real differences between the players themselves. Gaming was (and remains) an EXCELLENT social experiment! Count morality among gaming's lessons. The (very) philosophical alignment system in AD&D forced us to consider the meaning of good beyond just fighting the bad guys because, eventually, prisoners would be taken, and a gentle cleric would have to balk at killing helpless captives. But what about evil? Gaming allowed us to experience being a scoundrel within a fantasy context where no one got hurt, but with consequences otherwise INTACT. 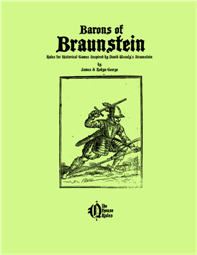 In short, gaming allowed us to experience the inter-dependency of danger short of war and the consequences of good and evil as a simulation conducted in safety. It gave us a chance to examine our humanity and nurture our budding values. But let's talk about the "real people" these fantasies were superimposed over. They were friends and fellow gamers from a variety of backgrounds and racial, cultural, and/or religious traditions. But our shared hobby led to FRIENDSHIP and recognition of our shared HUMANITY. And we experimented with basic trust and tolerance within our games and applied it to our LIVES. But you know what was great about playing in the 70s BEFORE the gaming hobby went mainstream? The near-complete ABSENCE of resources, which required GMs to research their own! Often, this involved starting with non-gaming materials and tailoring them for use in the game. This was fun precisely because it required GMs to do their own work, which was a challenging and enjoyable act that also gave a sense of personal ownership. DIY is the very SOUL of the role-playing hobby. 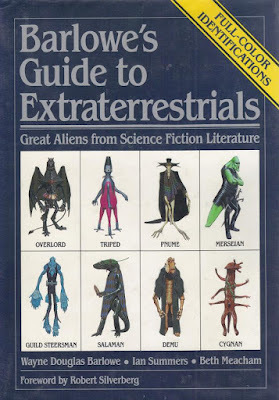 One of these was Barlowe's Guide to Extraterrestrials, a superb illustrated reference to some of the best aliens in classic sci-fi right at your fingertips! 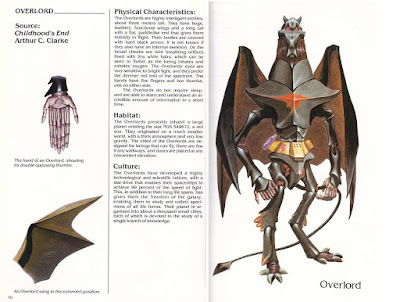 Touted as a field guide to alien life, this book combined Barlowe's excellent illustrations with a detailed summary of their culture, history, and reproduction. The book begins with a foreword by the incomparable Robert Silverberg (some of his own creations are found within) that goes into some detail about sci-fi illustrations and how to convert literary visions into visual art. And Barlowe's clear and concise writing matches his excellent and true-to-form depictions of his alien subjects. Literally the BEST sci-fi has to offer. Again, each alien is described in textbook form, including its physical features, habitat, and culture. The amount of information equals that of the Monster Manual and exceeds it at times, so all anyone needs to do is stat them for whatever system is being played, which should actually be a fairly simple task. I got my first copy for Christmas, 1980, the same year I got my Holmes Basic set, and I wasted no time at all converting its assorted aliens for use in my burgeoning campaign. It seems there was a time portal in a certain dungeon, which also sported laser turrets in the first passageway. I didn't know it, but this was in keeping with Arneson's Temple of the Frog and led to an all-night session that got most of my friends hooked on the game! really speaks for itself and its utility! Conversion was easy. Each of the aliens was roughly analogous to something already present in the rules and, where applicable, technological weapons were treated as bows (with 24-round energy clips) or some sort of wand, etc. Indeed, a game as rich as D&D had all bases covered here, and this was my first experience tailoring material for my own campaign, which was good practice! As an added bonus, Barlowe ended with personal creations from his original "Thype" world. These evocative images inspired me to create strange new worlds that I expressed through gaming, a medium unto itself and one I could share with friends! Wayne Barlow clearly loved the aliens he depicted, and his love permeates this awesome reference. 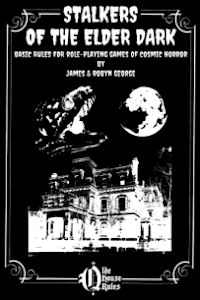 Not only is it a must-have for classic sci-fi fans (who might also be gamers), but it's also an invaluable resource for clever GMs of any role-playing system, being only a few stats away from the toughest foes of the Monster Manual and its successors. 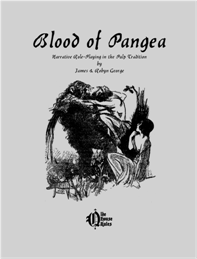 This great collection is well worth picking up!